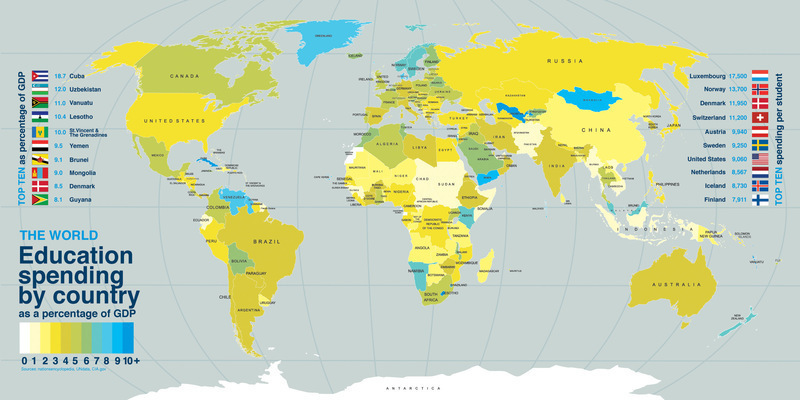 This interactive map shows historical data and forecast of general government gross debt (as percent of GDP) in each country. 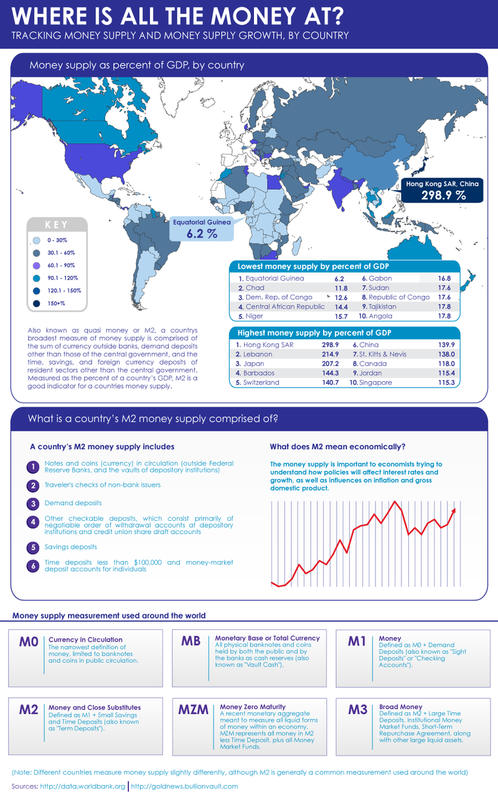 The wad of money in your pocket is one form of money, but the money supply is hardly limited to that. So, where is the money, and what exactly is it? A new global comparison of standards of living. 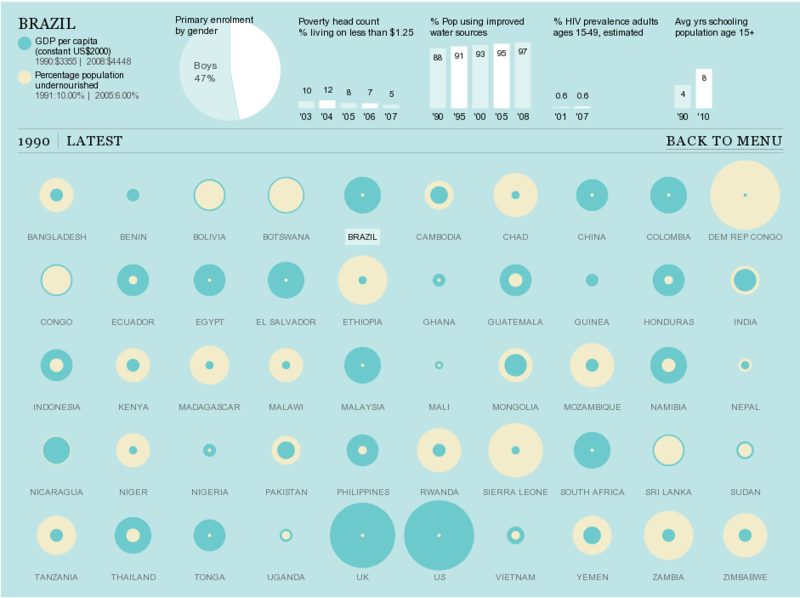 Published on Power of Data Visualization. Note: If you read this via Email or Feed-reader click Permalink below to download bigger image. Millennium development goal one is to eradicate hunger and extreme poverty. This grid overlays the percentage of the population who are malnourished with the size of the country's GDP per capita in 1990. To see how this has changed click ‘latest’ option below. Hover over a country to bring up information on additional goals such as maternal mortality and access to clean water. China has passed Japan for the first time ever in terms of GDP, a landmark event for their economy. Where do they go from here? Sixty-five percent of Americans say that religion is an important part of their daily lives. That is compared with just 30 percent of the French, 27 percent of the British and 24 percent of the Japanese. 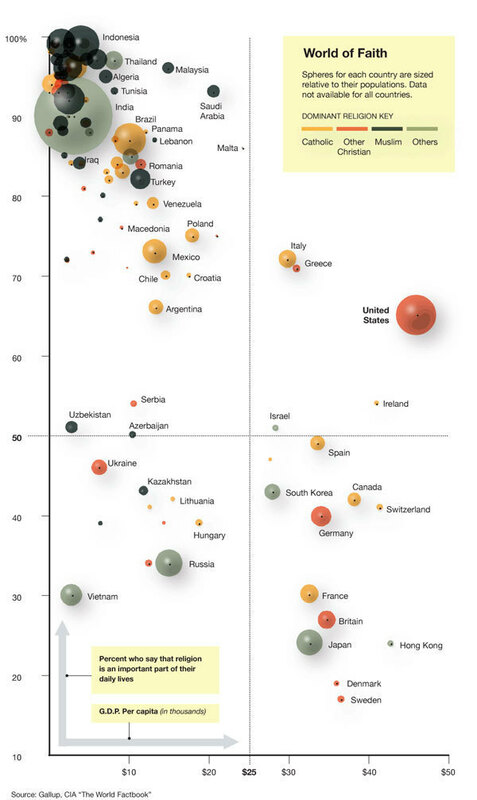 Charles M. Blow from The New York Times used Gallup’s data to chart religiosity against gross domestic product per capita, and to group countries by their size and dominant religions. Spheres for each country are sized relative to their populations. 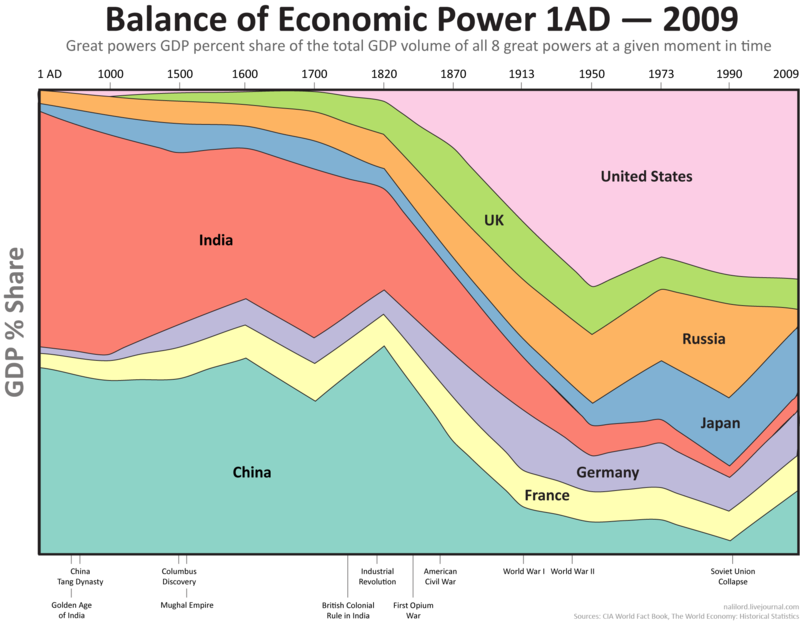 What Percent of GDP Do Countries Spend on Their Military? 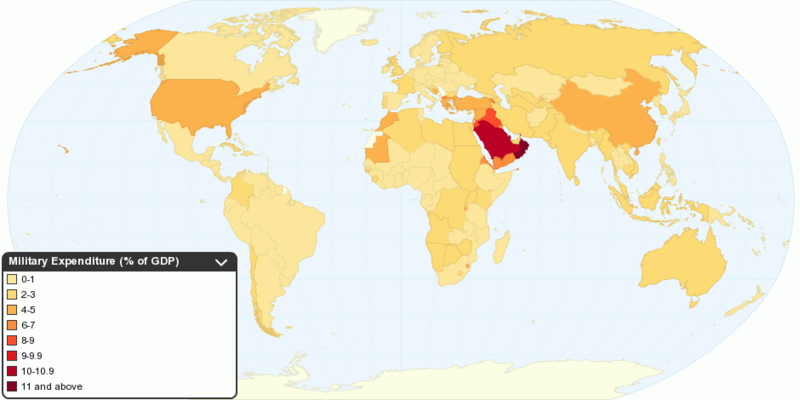 This map shows public expenditure in a given financial year on military as a percentage of gross domestic product (GDP). Education is a costly part of any country's expenses. Here's a look at just how much each country values education.